We have bad leadership in the Bureau of Prisons! The Second Chance Act of 2007 provided federal prison administrators with the authority to release prisoners to halfway houses one year before their sentences expired. That Act also urged administrators to expand programs that would help prisoners build stronger family and community ties while the prisoners served their sentences. For whatever reason, the current BOP Director Harley G. Lappin chooses not to abide by the letter or the spirit of this Congressional legislation. Director Lappin has led this agency since the Bush years. 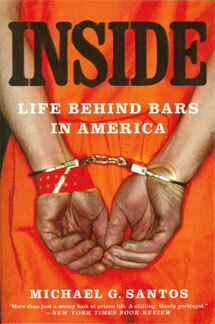 I am hoping that President Obama will soon appoint a new Director to lead the Bureau of Prisons. That new Director ought to embrace the Obama vision of enlightenment. Certainly, I understand that our country struggles through tough economic times. The BOP would not require additional funding, however, to implement the changes authorized by the Second Chance Act. It simply needs leadership that would advance prison policy from the dark ages. President Bush signed the Second Chance Act longer than one year ago. It is inconceivable that during the past 12 months the Director could not have made changes within the BOP budget to provide more resources for community confinement centers. In the prison where I am held, where we have had a steady population in excess of 500 prisoners, only one many has been authorized for 12 months of halfway house placement during the past year. Besides the BOP restrictions on halfway house placement, Director Lappin has kept policies in place that render it more difficult for prisoners to nurture family and community ties. The most blatant example of abusive policies that separate prisoners from family members is the 300-minute limitation on monthly telephone access for federal prisoners. Prior to the George W. Bush presidency, federal prisoners could use the telephone to communicate with family much more freely. Monthly telephone limitations did not exist. The limitations began in 2001, and Director Lappin has kept them in place. That telephone restriction ought to be rescinded at once. Congress did not pass the Second Chance Act haphazardly. The law passed with overwhelming bipartisan support because Congressional leaders recognized that prisoner recidivism rates were abhorrent. Those prisoners who built strong networks of support, who succeeded in finding employment, and who had time to decompress through halfway house placement stood the best chance for successful reentry. America needs new leadership within the Bureau of Prisons. At the very least, it needs a Director who will embrace the enlightened prison reforms authorized by the Second Chance Act.